World Employer Branding Day is the biggest gathering of leaders in employer branding all in the same place at the same time globally. 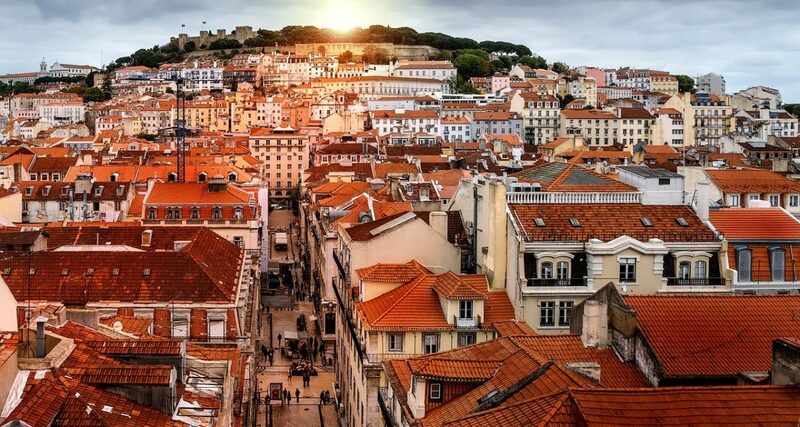 After attending the 2018 event earlier this year JobHoller are excited to announce that we are Gold Country Partners at next year’s event in Lisbon, and we would love for you to join us! Employer Branding is no longer something that is exclusive to the larger corporate organisations, it is something that companies of all sizes should be thinking about because it can dramatically affect how you attract, engage and retain talent for your organisation. 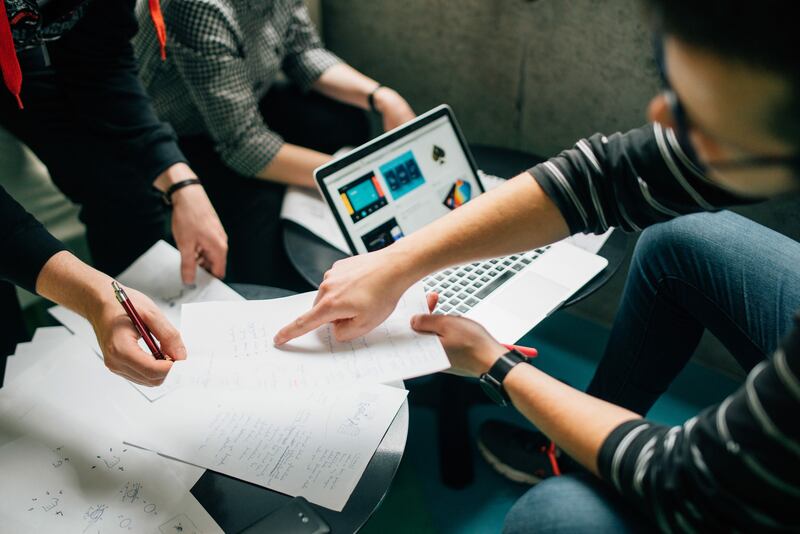 World Employer Branding Day is the biggest annual event of its kind, and if you are interested in hearing more about how employer branding could transform your business then it is an event you need in your diary. We live and breathe employer branding, and after attending last year’s event we can’t wait to see what organiser Brett Minchington has in store for us! World Employer Branding Day attracts leaders from some of the world’s biggest companies including Google, Facebook and Microsoft. You’ll get the chance to hear talks from some of these amazing companies learning best practices to take back to your own organisation so that you can improve your employer brand. The event also offers plenty of time for networking, so it’s a great opportunity to discuss employer branding with some of the biggest names in the industry right now. The full agenda is set to be revealed later this month on the World Employer Branding Day Website: here. Employer branding is still a new concept for a lot of companies but don’t let the event title put you off! This conference will help you discover new ways of thinking around all aspects of the employee and recruitment life-cycle such as candidate and employee experience, with advice on how best to collaborate between HR, Marketing, Communications, Finance and IT too. Each topic is slightly different, you’ll hear about some phenomenal case studies and take away fresh ideas to put into place at your own organisation, whether employer branding is the main part of your job or not! This is THE event to discover the latest trends in employer branding, so if you want to be ahead of your competition this is a great opportunity to do so. One of the key themes we are expecting to be discussed at next year’s event is AI, Robotics and Machine Learning – an extremely hot topic in tech right now. We will be hearing all about how AI is shaping the future of the employee experience, and how we can embrace these changes in technology without sacrificing the personal touch in the overall employee and candidate experience. 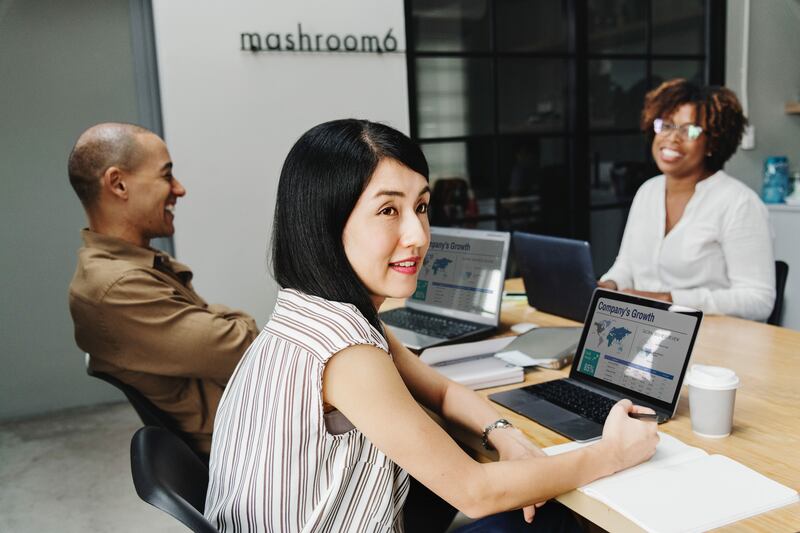 You can also expect plenty of forward thinking talks from companies that are winning with their employer brand right now. The 2019 event will take place at one of Lisbon’s most famous venues: The Tivoli Theatre. This stunning three-story venue seats up to 1000 people, meaning even more employer brand professionals can attend than ever before! 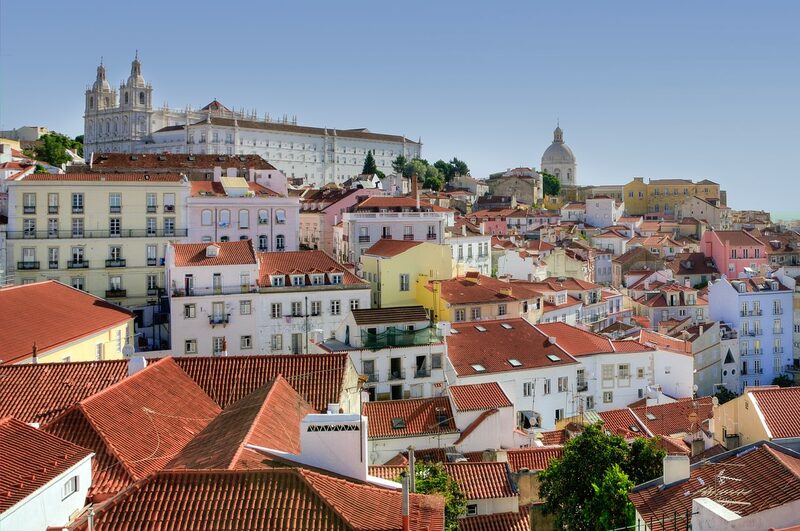 Lisbon is the capital of Portugal, a vibrant European City, and the airport is only located around 9KM from the City Centre making it easy for attendees to access once they get off their flight! The day before the main conference (15th May 2019) will be made up of pre-event workshops, one of which will be held by JobHoller! These workshops are a great opportunity to learn something new in an interactive session with your fellow peers. These sessions will spark discussions that will set you up perfectly for the conference summit the next day, and hopefully leave you with some practical takeaways that you can use for your own organisation too. Please note that standard tickets will not include the pre-event workshops, so if you are keen to get involved with this ensure you select the ticket option to include the workshops. We’ve already touched upon the type of companies presenting and topics covered, but just to reiterate, this event (taking place on 16th May 2019) will feature 25+ speakers, and if it’s anything like last year it is likely to be one of the most informative and engaging industry events you will attend all year! 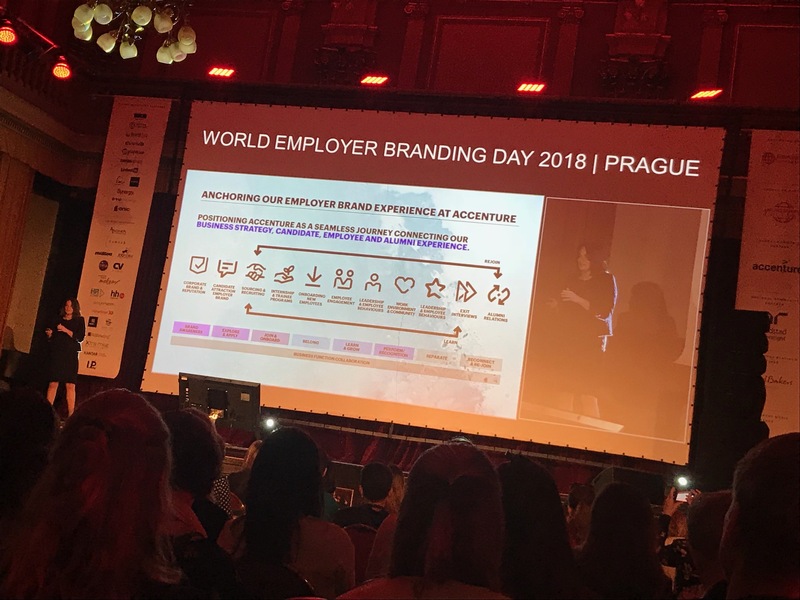 Some of our favourite talks from 2018’s event in Prague included Johan Driessens (CEO and Founder at Branded Careers) who reminded us about the importance of FUN in Employer Branding, and Jennifer Johnston Di Loreto (Senior Director, Global Employer Branding at Salesforce) who told all about Salesforce’s journey to becoming Fortune’s #1 World’s Best Workplace – an accolade that is not easy to achieve! Of course we cannot forget the man himself Brett Minchington, Chairman and CEO of Employer Brand International, who personally coached our Employer Brand Manager Sophie Hopley through her Employer Brand Leader Certificate two years ago. Brett is one of the world’s most published authors on the subject of employer branding, and he has been instrumental in helping companies across the globe develop a strategic employer brand throughout his career. We can’t wait to hear about Brett’s finding’s over the last 12 months! The 2019 World Employer Branding Day cocktail party is set to be held at the stunning Pátio da Galé. Last year’s event was a night to remember with great music, food, plenty of drinks and informal networking amongst peers, and we are sure that this year’s event (sponsored by Indeed) will be a night to remember. Lets face it, we all love a party, and after 1-2 days of intense listening and learning we will all be ready to let our hair down a bit! The global event is hosted in a different City every year, and the organisers (Employer Brand International) always ensure delegates make the most of their visit and leave not only full of ideas for their employer brand, but also with some time enjoying the culture that City has to offer. 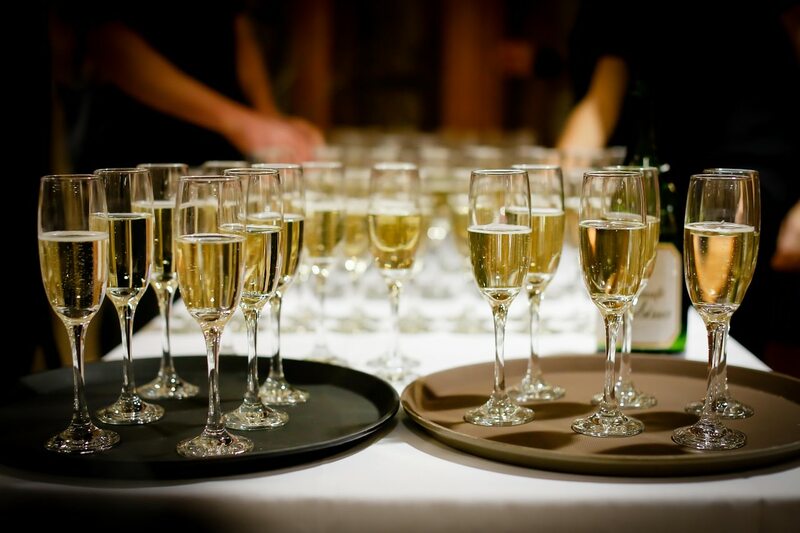 This year’s guided tour will take place on the 17th May 2019, the perfect way to soak up the sites and soothe the sore head from the cocktail party the night before! 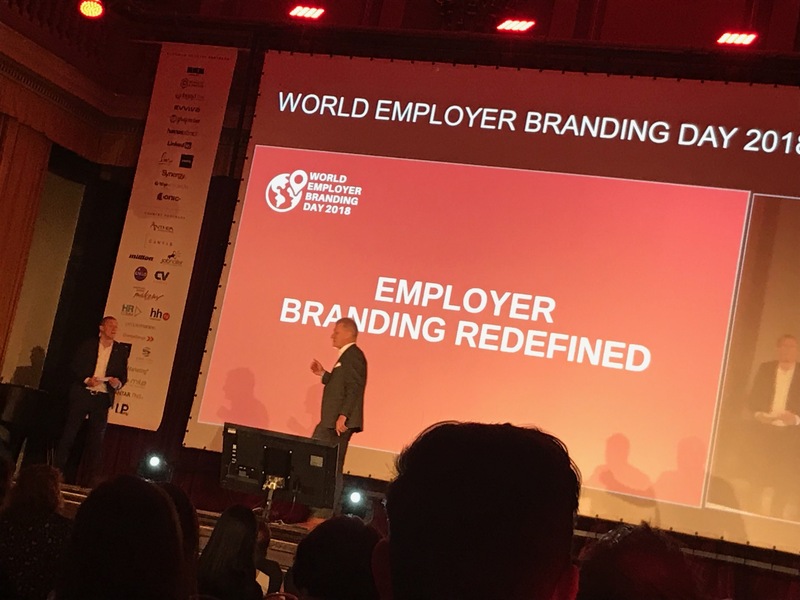 How to attend World Employer Branding Day 2019? You can purchase tickets directly through Eventbrite, tickets start from just €545.00 per person (Early Rate before November 30th 2018) which includes a ticket to the International Employer Branding Summit, Cocktail Evening Party (both 16th May 2019) and the Lisbon Discovery Cultural Tour (17th May 2019), but you can also get tickets to include the pre-event workshops and / or farewell lunch on the last day too. Check out the website for more information: here.